On any given day of dropping my son off at preschool, I will see kids wearing one of these superhero t-shirts with a velcro-attached cape. 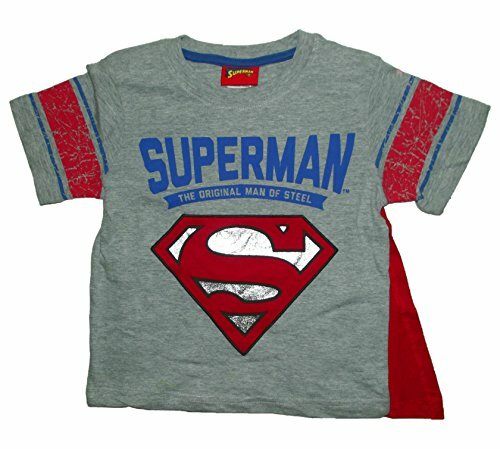 I know I find it easier to get my son dressed quickly on days when he wears his cape t-shirt! As the weather gets cooler, there is also a long-sleeved version available from Target, available in sizes 12 months and up to 5T. As an alternative, I think many preschoolers would enjoy receiving their own cape and mask to wear over any shirt. My son has tied blankets around his shoulders to make a cape, and we have cut out paper and felt masks for him at home. Etsy shop, Pip and Bean provides a customized cape, and you can purchase a mask and armbands separately. 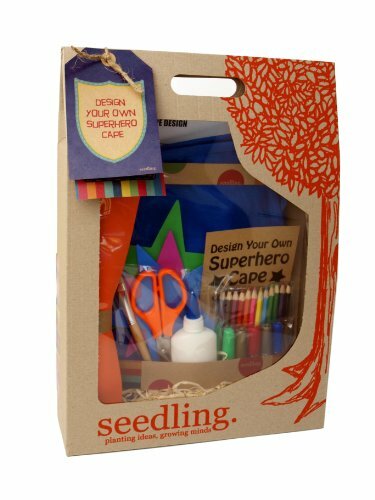 I've also given the Seedling Design Your Own Superhero Cape to a 4 year old boy before. I like that this creates an activity to engage the child in addition to the play they will have with the cape. 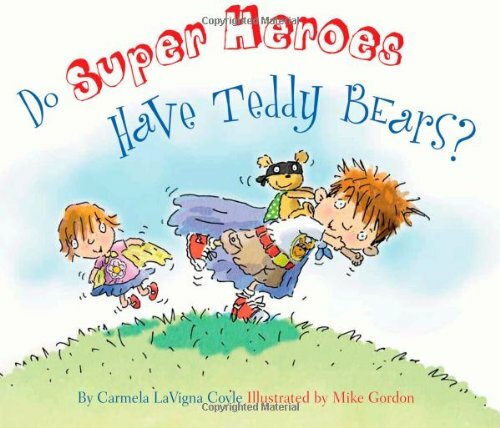 To further the discussion about superheros, the books, The Day I Lost my Superpowers, Ten Rules of Being a Superhero, or Do Super Heroes Have Teddy Bears? 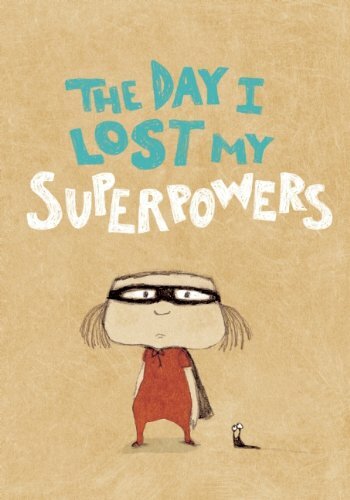 make a nice addition to a superhero-themed gift! 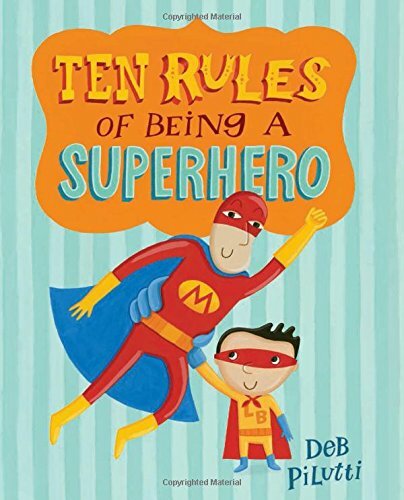 Learn more about these books and another superhero gift in this blog post about a Superhero Mask Kit.